4 Bedroom House To Rent in Lewes for £2,500 per Calendar Month. 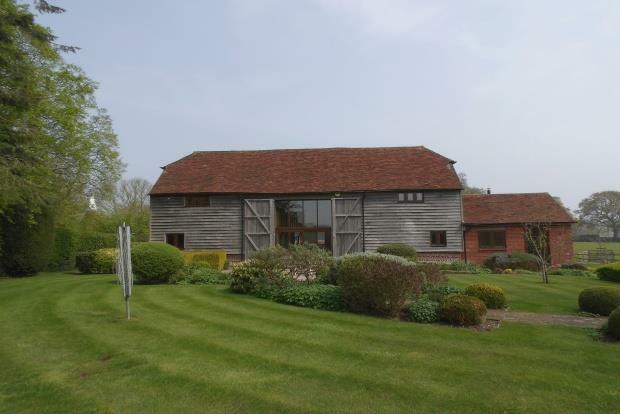 Four bedroom detached stunning barn conversion located in the idyllic village of East Hoathly. This beautiful detached family home is not one to be missed with the most idyllic views and a great living space you really should book in to have a look at this barn conversion. Downstairs the living space is very spacious and bright as well as having hard wooden flooring throughout in the reception areas. There are two double bedrooms downstairs and one single bedroom, the larger of the two double rooms has an en-suite to include a freestanding bath, WC and hand basin and this will be having new laminate flooring put down as presently it is carpeted. There is also another separate shower room next to the other two bedrooms downstairs this has a walk in shower, a WC and hand basin. There is a working log burner in the snug room/ lounge downstairs this is bright and spacious and is an ideal living arrangement as the open planned kitchen/dining area is right next to this. The kitchen has got a built in oven and hob as well as an AGA and a freestanding fridge, there is also an abundance of base units for storage and work top space for preparation of food. In the entrance hall there is a utility room which is plenty generous in size and includes a washing machine, tumble dryer and an under counter freezer. There is also a separate WC just along the corridor which makes that 4 toilets in this amazing property. Upstairs you have the master bedroom and the second reception room/lounge these are both very large rooms and the master bedroom does have an en-suite to include a bath, WC and hand basin. The whole barn is both bright and spacious with high ceilings which makes it feel like you have even more room. The wooden flooring has recently undergone a full refurbishment and all of the walla have been painted so this is like moving into a new home not only this but the carpets and brand new as well as having a thick undelay for comfort under foot. There is parking space for over 4 cars as well as two open garages, there is a gardener included in the rental figure with this property. With the summer months coming up this really is the perfect opportunity to snap up your next home so I would call today to avoid missing out. Gardener included in the rent.